Very luxurious bus camper to make the most of your freedom! De Reis Van – Very luxurious bus camper to make the most of your freedom! It is not about how you travel or where you are going, but about the journey itself ... the journey of YOU! Our bus camper is still young (built in 2016) and has a particularly beautiful interior with a high level of finish. 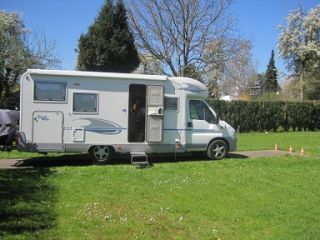 The motorhome is rented out including a very complete inventory. Ask for the complete inventory list. The camper has a fixed bed in the longitudinal direction of the bus, which can also easily be made into 2 separate beds. Accessories such as a bicycle carrier for 2 bicycles (suitable for all types of bicycles), TomTom navigation and a Cadac gas barbecue can also be supplied for free if desired. An extra bed linen and linen package is rented. You can leave your car with us for free, at your own risk. We also offer a collection and delivery service (from and to your home address) if you find that even easier. (Against extra payment of course and at a reasonable distance). Spacious, comfortable 3 person camper with automatic transmission! 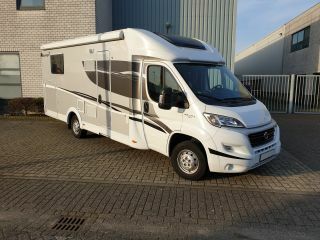 Very luxurious Sunlight T68 with 2x AIRCO, XL lengthbed and Hefbed.